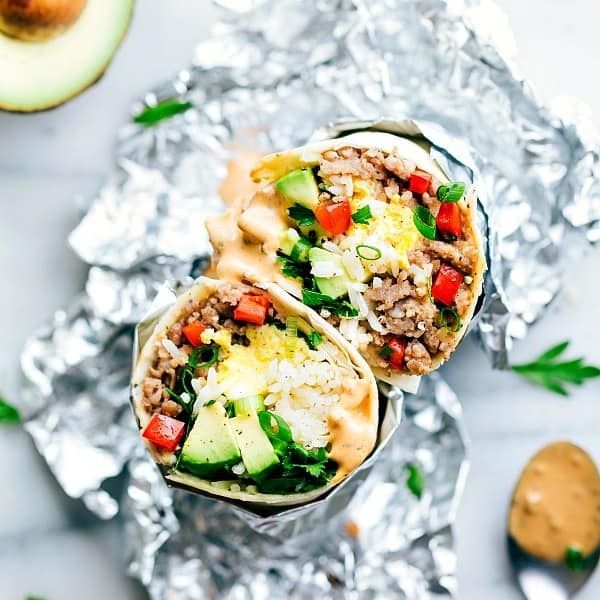 Breakfast Sausage Avocado Burritos are loaded with sausage, eggs, tomato, and rice and drizzled in a sriracha mayo dressing. 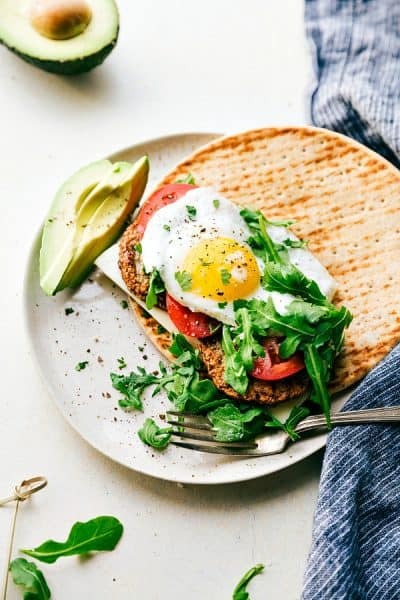 These will become a new favorite breakfast that will blow your tastebuds away! I made you a new breakfast recipe that you have got to try. 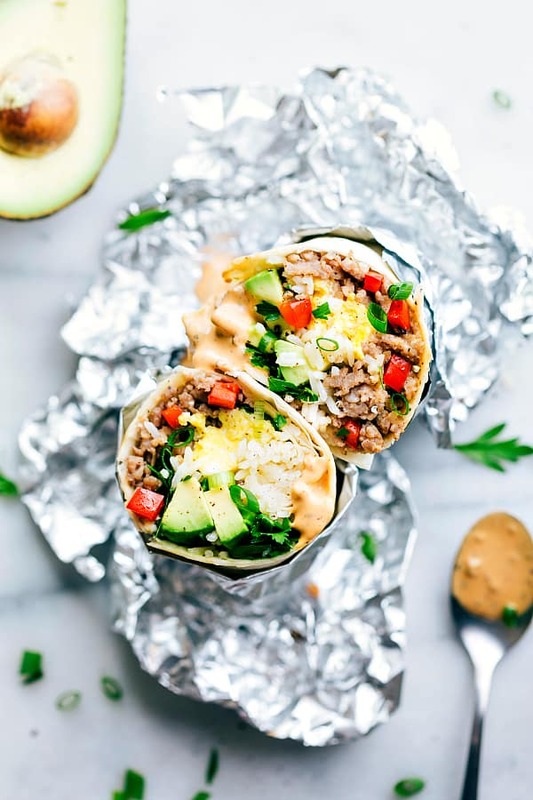 Seriously these breakfast sausage avocado burritos are going to become your new BFF. 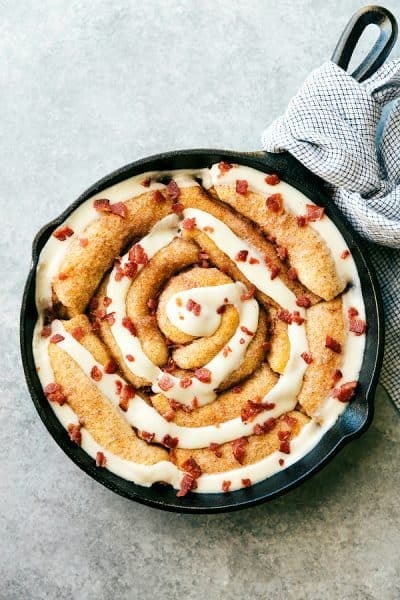 They are going to take your boring breakfast routine to the next level and make your tastebuds do a happy dance. They are loaded up with so many delicious ingredients and one of my all time favorites, avocado. I have been craving avocado like crazy this pregnancy and so whenever avocado is involved I can’t wait to eat it! I also love the sausage from Jones Dairy Farm that added such amazing flavor to these burritos. For this recipe I used Jones Dairy Farm All Natural Pork Breakfast Sausage Roll . It is made with only four ingredients, it is all natural, and Certified Gluten-Free. The Jones Family have been using the same recipe for 128 years and their quality can’t be beat. 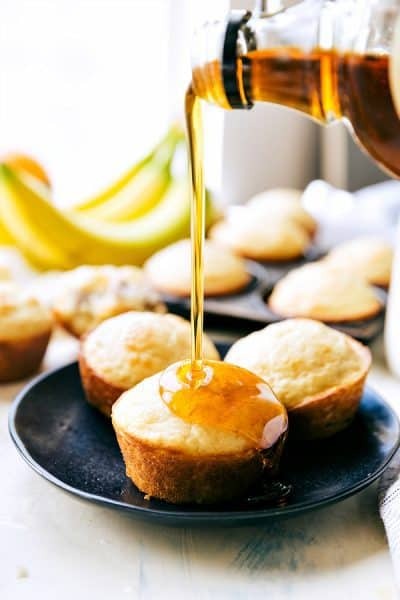 It is my number one choice when I am creating a delicious breakfast recipe. 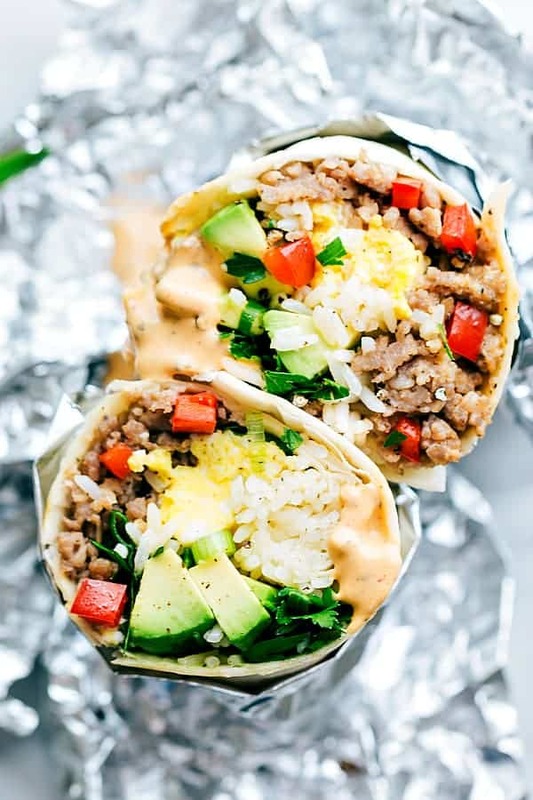 Everything inside of these hearty breakfast burritos are amazing. Filled with sausage, eggs, tomato, flat leaf parsley and rice these will keep you full and going all morning long. The flavor and texture combination went together perfectly and our family couldn’t get enough! You are going to love the addition of the sriracha mayo dressing!! Holy cow it is incredible. It adds big bold flavor and provides the perfect finishing touch. 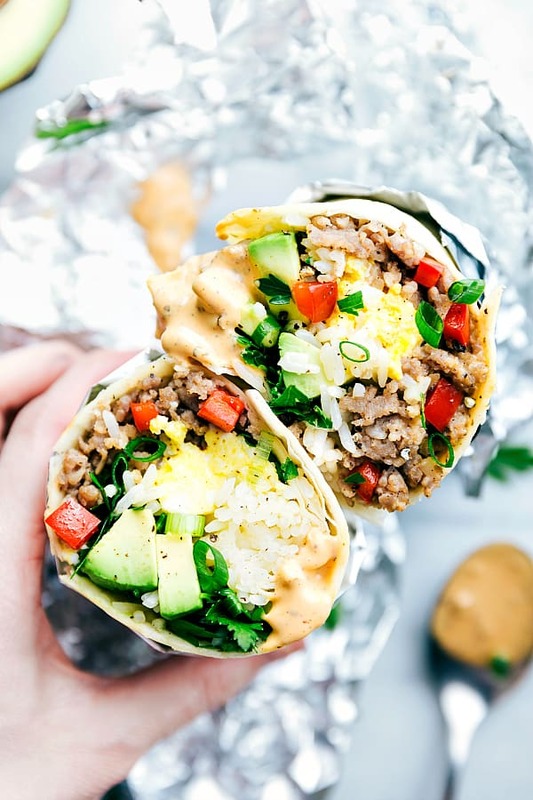 It brings in just a bit of heat and tons of flavor to these hearty burritos. 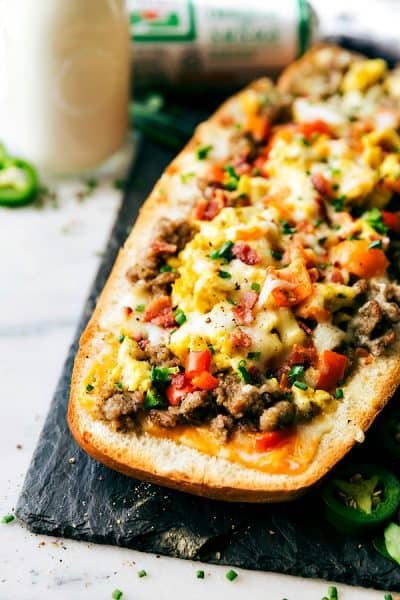 Don’t settle for a boring breakfast when you can make these breakfast burritos! 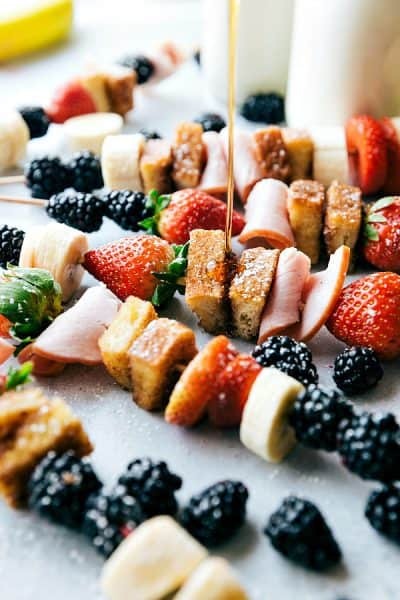 They are easy to assemble and will be a breakfast that your entire family will love! The All Natural Roll Sausage is available in the freezer section of fine retailers nationwide. Additionally, the company just launched a NO Sugar version of the product! 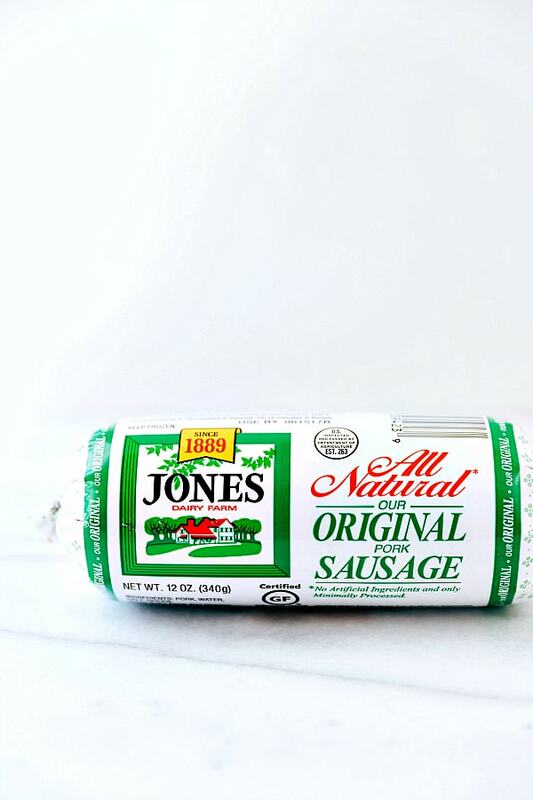 To find a retailer near you that carries Jones Dairy Farm Sausage, use the company’s product locator. In a large skillet over medium-high heat, cook and crumble the sausage until just browned through. Add in the diced red bell pepper and saute for another few minutes until the peppers is crisp tender. Remove from the skillet and divide this mixture evenly among the four tortillas. In the same skillet (drain any grease), add in the eggs, milk, and salt + pepper to taste. Scramble the eggs to desired doneness and again divide the eggs evenly among the 4 tortillas. Coarsely chop up the parsley and dice the green onions. Add an even amount to each tortilla. Thinly slice the avocado and add ¼th of it to each tortilla. Divide the cooked white rice evenly among the tortillas. In a small bowl, whisk together the mayo and Sriracha with a dash of salt + pepper. Pour this mixture on top of each burrito (to taste) and tightly roll up the burritos. This post was sponsored by Jones Dairy Farm. I love working with brands that I am passionate about and use in the kitchen for myself. All opinions expressed are my own. These look amazing! Do you know how well they would freeze? I’m unsure because of the avocado.